Take Our Daughters and Sons To Work Day! As Education Commissioner, I am committed to ensuring that our state’s students are prepared to contribute to Florida’s workforce through satisfying careers. While I absolutely love my job, there are certainly times I miss working in schools and being surrounded by students and the boundless potential they possess. That’s why one of my favorite events of the entire year is Take Our Daughters and Sons to Work Day. Governor Rick Scott declared April 23, 2015 Take Our Daughters and Sons to Work Day in Florida, and I was pleased to host a very special day of activities for the children of Department of Education (DOE) staff members at the Turlington Building in Tallahassee. The children may have been most excited to spend a day away from school, but what they didn’t know was they were going to have an experience that could positively impact their futures. Understanding the value of a quality education, we took this opportunity to offer our team’s children a glimpse at the many career opportunities that will be available to them as long as they remain committed to academic success. 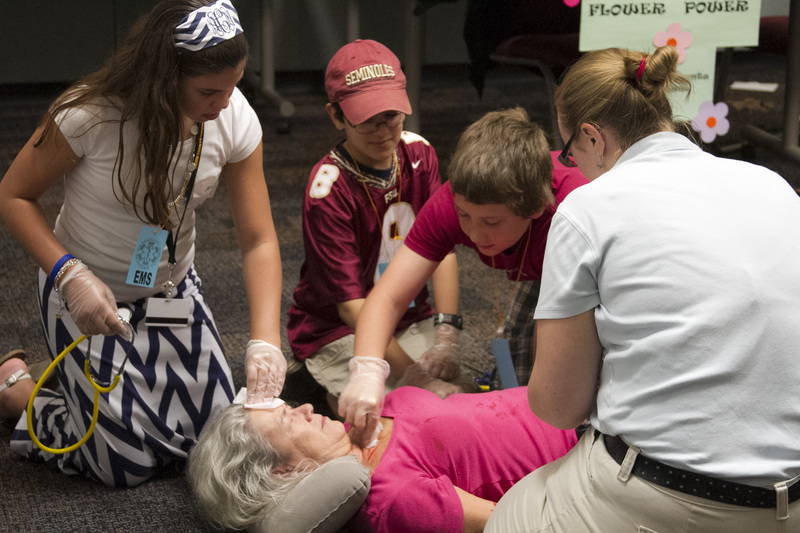 Our future leaders gained first-hand knowledge of the department’s everyday workflow and participated in engaging activities hosted by department employees. One of the activity stations, presented by the Division of Blind Services, allowed students to interact with interesting technology that provides individuals with visual impairments added independence, as well as an athletic demonstration and a guide dog demonstration. At another station, local college students spoke to the children about their own experiences as students and explained how hard work and determination were necessary on their journey to a fulfilling career. In one of the more active stations, children learned a fun and simple dance routine while exercising, promoting physical activity and healthy living. The department’s Bureau of Standards and Instructional Support focused their presentation on a brief STEM project, which is critical considering the fact that job opportunities in STEM fields continue to grow. During, the Growth Mindset and the Malleable Mind presentation, the children learned how their brain can make new connections and develop into adulthood. This year’s national theme is “#MPOWR Knowledge+Choice=Strength.” It reminds our youth to be brave as they dream seemingly impossible dreams, explore new challenges and attain the success they have always hoped for. My hope is that the children who participated in DOE’s Take Our Daughters and Sons to Work Day left knowing there are no limitations when it comes to the opportunities they will have access to with a quality education. It is our responsibility as parents, grandparents, civic leaders and educators to make sure Florida’s children know that they can set and achieve any goals they set. We’d love to hear what your workplace did to #MPOWER future leaders to work hard in school so they can excel in careers. Yesterday marked the final stretch of Lauren Book’s sixth annual 1,500-mile Walk in My Shoes journey throughout Florida, and I was proud to join Lauren and thousands of supporters for the final two miles from Governor’s Square Mall to the Old State Capitol. The event focuses on raising awareness of child sexual abuse prevention, as well as offering assistance to survivors. 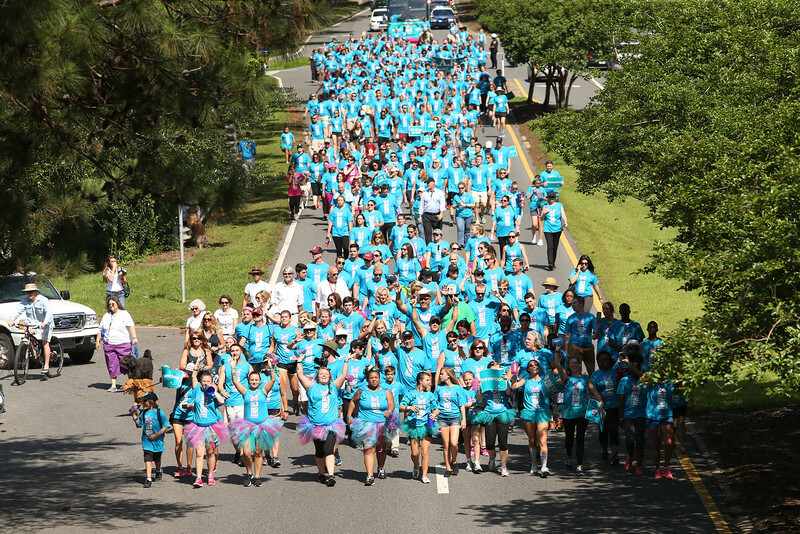 Lauren, a sexual abuse survivor and founder of Lauren’s Kids, began her route in Key West on March 14, and rounded out her journey here in Tallahassee on April 22. Along the way, there were stops in local communities and schools to teach the importance of speaking up on sexual abuse and the different ways children can avoid abuse. While meeting with these children, she shared an important message, “It’s OK to tell.” At the end of yesterday’s walk, she played a voicemail that underscored the value of awareness efforts and, in fact, brought many members of the audience to tears. The recording was from a child advocate in Florida who wanted to let Lauren know that after one of her visits to a local community center, a young girl shared with her mother that she had been abused. The child said she was compelled to tell her mother because Lauren told the group of children that it is always OK to tell if someone hurts them. Now, this mother is able to help her daughter access services she needs to heal and take steps to prevent it from happening again. My experience with the Walk in My Shoes campaign has been truly fulfilling. I saw firsthand, in every blue shirt, the dedication and influence the people of our great state can have to create change for the better. This is especially true for those who work in our state’s schools. Under Florida law, everyone who suspects a child may be abused or neglected has a legal responsibility to report it. Because of educators’ proximity to children, they can play a critical role in spotting and reporting abuse. I would like to take this opportunity to remind all Floridians, especially our state’s educators and school personnel, always to be aware of these common signs that a child is being abused. Every year, tens of thousands of children in Florida are subjected to abuse, but we have the power to change that. Remember, school teachers and personnel are specifically mentioned in statute as being required to contact the Florida Department of Children and Families, not just their supervisor, if concerned that a child is being abused, abandoned or neglected. To report, call 1-800-962-2873 or visit https://reportabuse.dcf.state.fl.us/. Children’s Week is one of my favorite times of the year. I love when the Capitol comes alive with the sound of children excited to explore and learn about the work we are doing every day on their behalf. Every day is “Children’s Day” for me and the staff of the Florida Department of education; it’s the nature of what we do. And it is wonderful when everyone else is also focused on children, because children are Florida’s most important asset. On April 14, more than 3,000 of our state’s future leaders gathered in the Capitol Courtyard for Children’s Capitol for a Day. I had the opportunity to spend time with Florida’s young citizens and remind them that Florida’s future is in each of their little hands. I also read one of my favorite Dr. Seuss’ books, “Oh, the Places You’ll Go” to children from northwest Florida. I love when a book can inspire young minds to keep moving forward and to dream in color. It is our jobs as educators, parents and policymakers to work collectively to provide our students with the knowledge, skills and motivation needed to achieve their dreams and be successful now and in the future. It is really a great time to be a student in Florida. Education leaders across the nation are watching Florida because we are getting things right. Florida is ranked 7th in the nation for K-12 academic achievement. Florida’s graduation rates are at an 11-year high – increasing nearly 17 percentage points in that time. And in the past five years, Florida has increased enrollment in accelerated STEM courses by 46 percent, giving more students access to high level courses in science, technology, engineering and math. 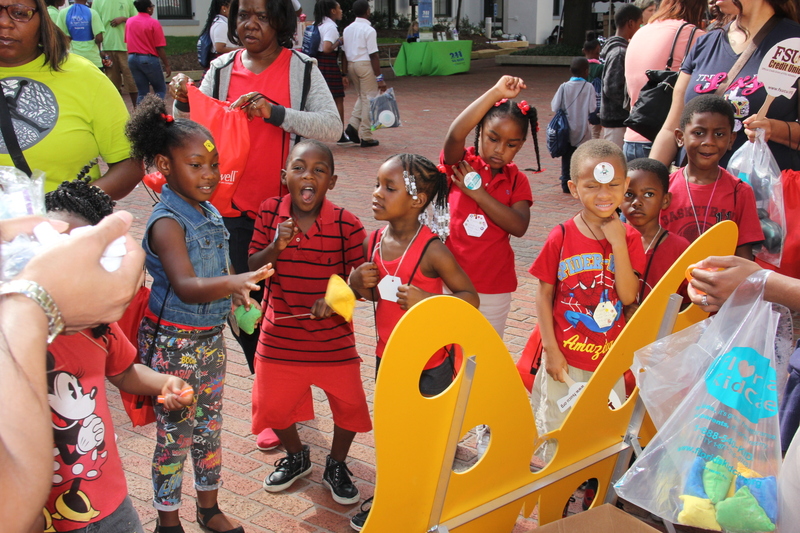 Seeing so many children participate in Children’s Week reminded me why thousands of Florida educators dedicate their lives to ensure students have access to a world-class education. And Governor Rick Scott is doing his part – having proposed the highest levels of education funding in Florida history. I believe events such as this is the first step to helping make change. We want to keep changing and growing until we are recognized as the best in education in the entire nation. Most often, the work of the department is defined in terms of our role with K-12 public schools and Florida Colleges. But FDOE also manages programs that assist individuals who are blind, visually-impaired or disabled to succeed either in school settings or careers – encouraging independence and self-sufficiency. The Department of Education’s Division of Vocational Rehabilitation (VR) helps people with disabilities get or keep a job. VR counselors work with people who have physical or mental disabilities who want to work, but have certain barriers in their way. In recognition of Deaf History Month, observed from March 13 to April 15, the story below explains how VR helped a Florida citizen, who is deaf, leverage his experience overcoming his own disability into a successful business venture helping others live life to its fullest. Thomas Koch grew up in Houston, Texas, and with most of his family members working for NASA at the Johnson Space Center, he dreamed of following in their footsteps and traveling into space. That is, until he took a trip to the Sonny Carter Training Facility and watched the divers training the astronauts underwater. 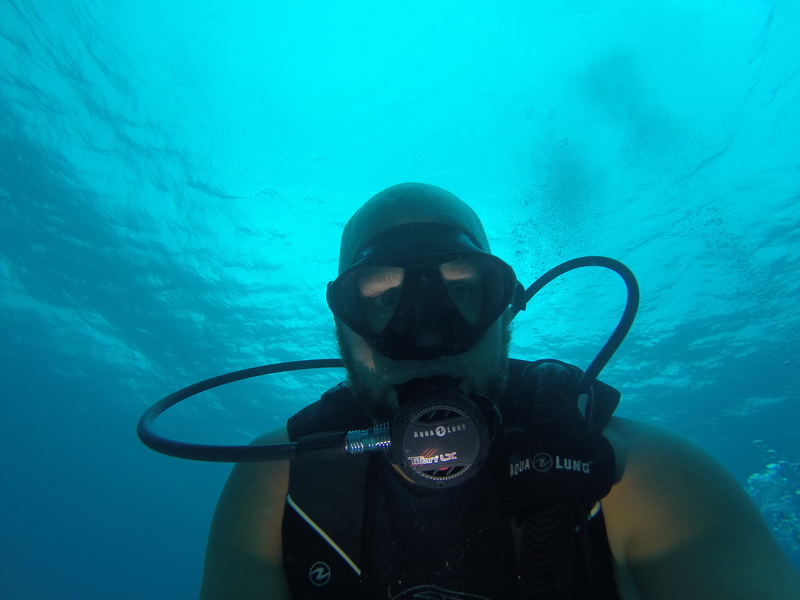 Then and there, his career goal changed to become an Open Water Scuba Instructor. 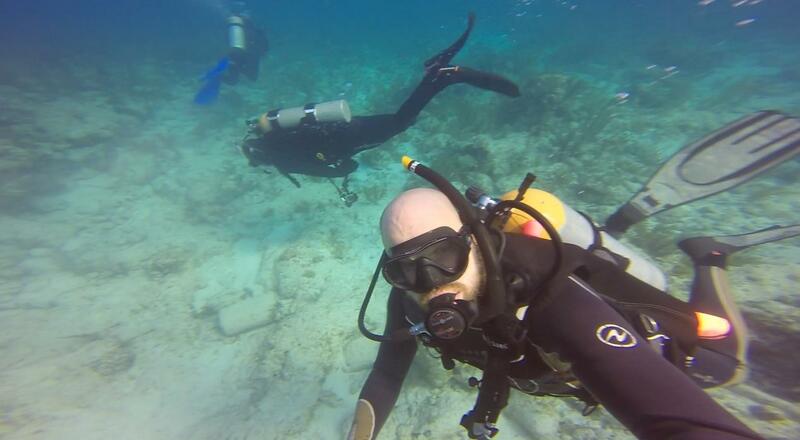 And not just an ordinary scuba instructor – Thomas dreamed of teaching other people who are deaf how to scuba dive. Twenty years later and with a little help from Vocational Rehabilitation (VR), he got his wish. Thomas never lost sight of his dream and is now the owner of Aqua Hands, a diving school that offers instructors who are fluent in ASL to train students who are deaf. Thomas first came to VR in 2010 where he met VR Counselor Lori Fuller. VR provided interpreting services so he could complete his course work to become an Open Water Scuba Instructor. Lori explains that in the early days, it was a real challenge to find an interpreter who was also a scuba diver to work with Thomas. When his training was completed, he started Aqua Hands, based at Rainbow Reef Dive Center in Key Largo. He then began touring the country, teaching scuba classes to people who are deaf, as well as those who are not. After five years of teaching, Thomas has acquired enough teaching hours to reach the Master Scuba Diver Trainer Instructor level. Thomas recently needed some additional help from VR, so he came back for more services. This time, VR set him up with Video Relay Interpreter technology. This is a TV screen that Thomas uses to call a live interpreter. It’s similar to Skype, in that the interpreter can be somewhere else, but Thomas can see him/her on the TV screen, read the interpreting and then sign back. This is helpful with teaching his students who can hear or who don’t know ASL. Thomas’ business continues to grow and flourish. After five years, he now has nine independent contractors who work with him to teach scuba diving, CPR and first aid. He credits VR and Lori for their help in getting him started in his dream job and keeping it going. Lori feels confident that Thomas can make this happen. Governor Rick Scott recognized eight outstanding educators from around the state for their contributions to educating Florida students with Governor’s Shine Awards. 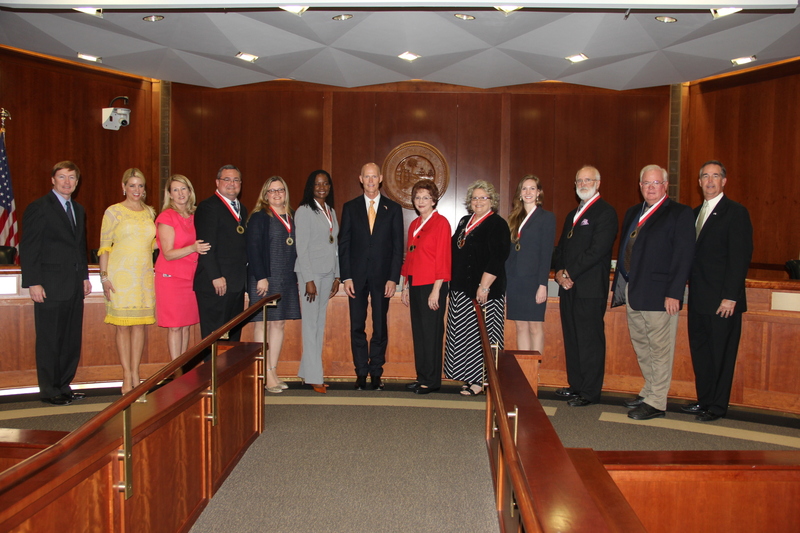 Today, during a meeting of Florida’s Cabinet, Governor Rick Scott recognized eight outstanding educators from around the state for their contributions to educating Florida students with Governor’s Shine Awards. The Governor’s Shine Award is presented to educators and administrators in Florida who make significant contributions to the field of education. Mike Coffey, Indian River County, Sebastian River Middle School – Mike Coffey is a sixth-grade science teacher at Sebastian River Middle School. Mike works hard to involve parents and community members into his curriculum plans, and tries to show students the real-world application of each lesson. Aubrey Ford, Bay County, Bay Haven Charter Academy – Aubrey Ford is a third grade teacher at Bay Haven Charter Academy. She has a strong rapport with her students, parents, fellow faculty and staff, and encourages her students to view learning as fun and exciting. Aubrey strives to design activities that allow students to choose how to best complete tasks and pursue their own interests. Audrey Gay, Franklin County, Franklin County School – A 38-year veteran of Franklin County Schools, Audrey Gay teaches fifth grade at Franklin County School in Eastpoint. She introduces hands-on science lessons and also uses music to aid in student retention of information. Deborah Horzen, Orange County, Cypress Creek High School – A teacher at Cypress Creek High School in Orlando, Deborah Horzen is the 2014 Florida German Teacher of the Year. She is in her third year of teaching at Cypress Creek High School, which is home to the largest German-language program in Florida. Deborah’s classroom provides a supportive environment for students at all learning levels to engage and communicate in the target language. She uses a wide variety of strategies, classroom technology and real-world materials, including music, video and web-based components, to appeal to all types of language learners. Deborah “Gail” Miller, Columbia County, Eastside Elementary School – For 20 years, Deborah “Gail” Miller has enjoyed working with students with a wide variety of disabilities. She currently teaches fourth and fifth grade students at Eastside Elementary in Lake City. Gail strives to maintain a classroom environment where all students, no matter their level of skills, are fully engaged in learning experiences. Charles Moseley, St. Johns County, Switzerland Point Middle School – Charles Moseley teaches eighth grade at Switzerland Point Middle School and has been with the school district for more than 20 years. He often collaborates with other teachers around the world via social media to keep his lessons current. Charles’ approach to his classroom is unique in that he divides his classes into departments similar to those found in large private corporations. Students apply for specific positions and rotate through these departments during the year. This tactic helps to cover teaching benchmarks with interactive and real-world experiences. Tiffany Scott, Lake County, Mount Dora Middle School – Tiffany Scott has been a teacher for six years and is currently teaching math at Mount Dora Middle School. She has been described by her principal as a teacher who goes above and beyond to get her students excited about math. Tiffany works to help students make connections between the content and how it is relevant in today’s society. Tom Williams, Union County, Union County High School – Tom Williams is the Senior Agriculture Education Instructor at Union County High School. During the past 28 years, Tom has imparted many academic and life lessons to his students, members of Future Farmers of America, and the student body in general. He has helped developed new agriculture programs such as Food Science, mentored aspiring teachers, coached many state winning teams that have advanced to the national level of competition, and helped prepare countless graduates for life and careers beyond high school. 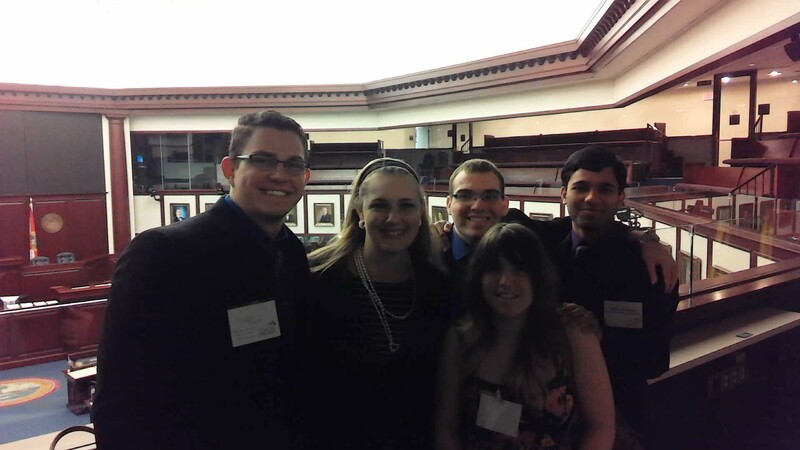 Each spring, hundreds of Florida College System students and leaders visit the Capital for three days as part of the year-end conference for the Florida College System Student Government Association (FCSSGA). While here, they have the opportunity to participate in community service activities, engage with legislators and other state leaders, and hold meetings to help guide the organization’s direction. FCSSGA represents the nearly one million students enrolled in the Florida College System’s 28 colleges, and I was honored to speak to these students on two different occasions. On Wednesday evening, I shared the stage with Lieutenant Governor Carlos Lopez-Cantera as we celebrated our state’s next generation of leaders with a kickoff dinner. It was wonderful to be surrounded by so many bright students and their college leaders, and I was especially pleased Lt. Gov. Lopez-Cantera could join us because, as a Miami Dade College graduate, he is a shining example of the success Florida College System graduates can achieve. As he delivered an inspiring speech about his time at Miami Dade College and how it prepared him for a successful future, I was reminded that many of these students – and thousands more around Florida – would soon be joining our workforce and I was filled with pride. I know that, as a result of the outstanding education Florida colleges offer, so many of these students will have the opportunity to pursue and achieve their own version of the American Dream. That thought was still on my mind Thursday morning when I had the chance to recognize the All-Florida Academic Team, a collection of our College System’s best and brightest students from every corner of the state. The success of all our students will reverberate far beyond their own homes and communities. It will impact all of today’s Floridians, as well as our future generations, who will benefit from their contributions. More than 90 percent of Florida College System graduates stay in the state and that is wonderful because their talent makes Florida a leader in job creation and a global destination for businesses and families. My message today is three-fold. To all of our students, from pre-K early learners to thriving college students, keep up the good work! You are the leaders of tomorrow and we are rooting for you. For educators and administrators at all levels, thank you for all that you do every day to make Florida a great place to learn. To parents, I assure you we are committed to ensuring your sons/daughters receive a world class education and we appreciate the encouragement you provide throughout their education journey. You make all the difference. To learn more about the Florida College System, visit www.floridacollegesystem.com. FDOE staff members plant pinwheels as part of the Pinwheels for Prevention campaign. April is recognized as Child Abuse Prevention Month, a time for the community to come together to show its support for children and families. We all share the goal of student achievement leading to a satisfying and productive adulthood. A critical component of student achievement is reducing and removing a variety of barriers that exist for some students. Child abuse is an intolerable, but preventable barrier to learning. Gov. Scott Rick Scott proclaimed April as Child Abuse Prevention Month in Florida and urged all Floridians to engage in activities whose purpose is the strengthen families and for communities to provide the optimal environment for healthy child development. It is important for our communities, schools, agencies and stakeholders take the time to collectively reflect on the importance of child abuse prevention. 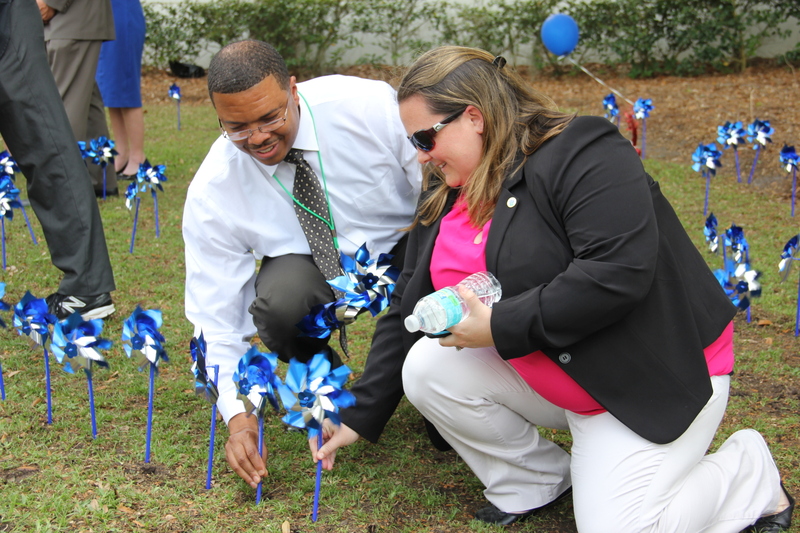 At the Florida Department of Education (FDOE), we planted our very own “pinwheel garden,” in collaboration with the Pinwheels for Prevention campaign. The garden symbolizes the vital part each of us plays in promoting the social and emotional well-being of children and families in communities and schools. 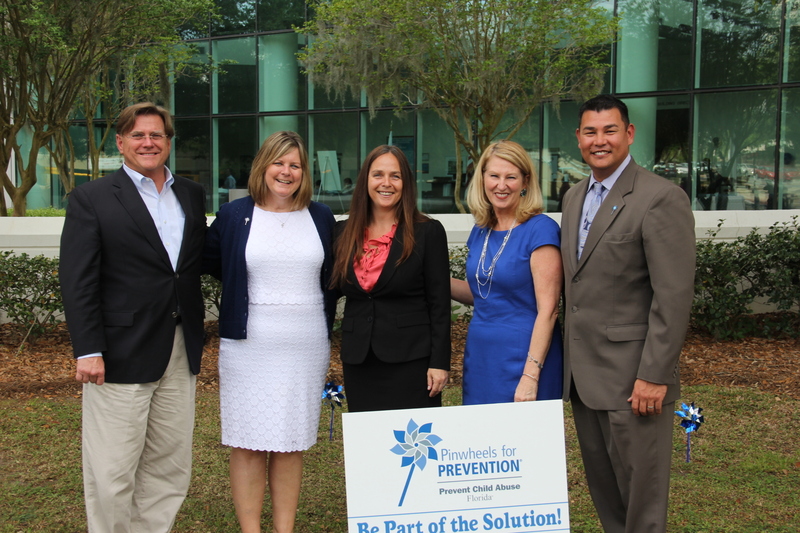 We planted nearly 400 blue and silver pinwheels, and were joined by representatives from the Executive Office of the Governor, the Florida Department of Children and Families, and The Ounce of Prevention Fund of Florida. Pinwheels for Prevention is a national campaign that engages communities in a coordinated effort to prevent child abuse and neglect by promoting the awareness of healthy child development, positive parenting practices and the types of support families need within their communities. Efforts to prevent child abuse are more successful when community members have a clear understanding of the laws that guide child protection. As awareness of child abuse prevention increases and stronger community support systems for prevention are created, the number of abused and neglected children can decrease. As advocates for children, we are committed to doing our part to raise awareness and share the responsibility for keeping children safe and healthy. Promote safe, nurturing environments and develop resiliency (the ability to grow and thrive in the face of adversity). Know the typical signs of all types of abuse (including physical abuse, emotional abuse, sexual abuse and neglect) and high levels of stress for caretakers that may put them at risk for engaging in abusive behaviors. Report suspected child abuse to the Child Abuse Hotline ( 1-800-962-2873 or online at https://reportabuse.dcf.state.fl.us/) In Florida, everyone is required by law to report suspected child abuse. Provide trauma-informed support for children exhibiting emotional and behavioral reactions associated with trauma. Zackary Gibson, Chief Child Advocate and Director, Office of Adoption and Child Protection, Executive Office of the Governor.